All Boca Raton homes currently listed for sale in Boca Raton as of 04/21/2019 are shown below. You can change the search criteria at any time by pressing the 'Change Search' button below. 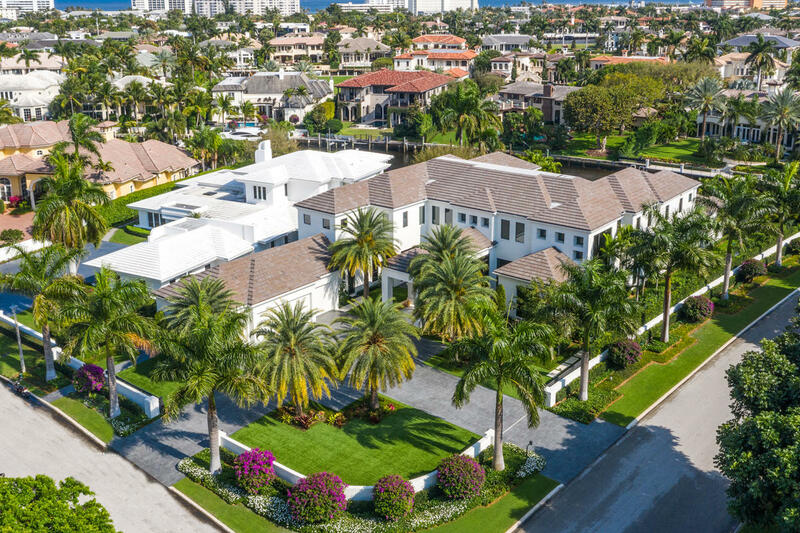 "Truly one-of-a-kind 27,000+ total square feet Mediterranean-styled estate, nestled on 1.6+ acres of land in the ultra-exclusive, gated Princeton Estates, an enclave of Woodfield Country Club, the most exclusive family-friendly country club community in Palm Beach County. The estate is centrally located to many of Boca Raton's finest offerings including South Florida's finest public and private schools, the ultra-luxury Town Center Mall, the urban retail/entertainment village of Mizner Park, extensive city-owned parks, the beaches of the Atlantic Ocean, the Palm Beach Int'l Airport, Fort Lauderdale Int'l Airport and minutes from Boca Raton's Executive Airport, complete with its own U.S. Customs facility for international passengers." 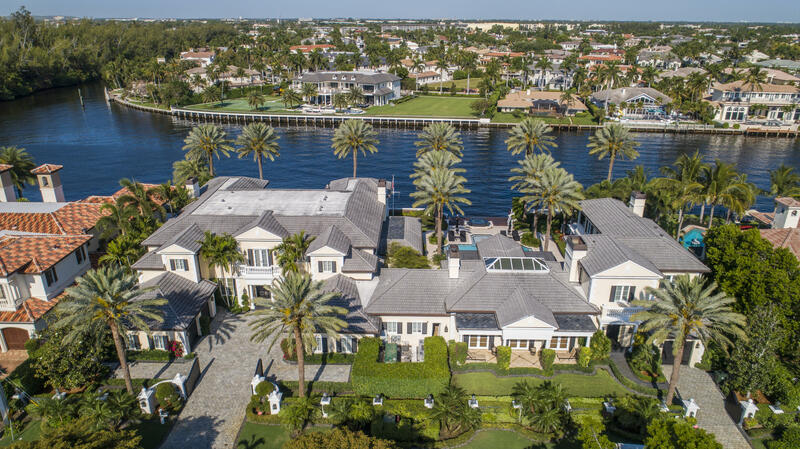 "''New'' World-Class Sanctuary Point Estate sited on 345 +/- feet of waterfrontage by Addison Development Group Inc., and designed by Smith & Moore Architects of Palm Beach. An impressive architectural statement blends modern living with privacy, seclusion and breathtaking water views. A dramatic entry hall with gallery leads to all public rooms including the hallmark club room for entertaining. Resort-style pool/patio with expansive party room/lanai. Yacht dockage for multi-vessels (100 +/- feet), adjacent to the Intracoastal." "Welcome to Tashun, ''The House of Peace,'' one of the most majestic and thoughtfully rendered properties in all of South Florida--and a towering example of what distinguishes Le Lac as an exclusive residential community without peer in Boca Raton.Cast on 6.3 exquisitely manicured acres, the aptly named estate charms with its tranquil lakefront views, serene spaces and lush, resort-style landscaping. To that end, it's a home that doubles as a getaway, making Tashun a great escape in every sense of the term.And yet, upon entering a dramatic foyer decorated with artwork that includes a showpiece chandelier, it's also evident that the beauty of this 41,010-square-foot masterpiece lies in the details.In addition to 7 bedrooms, 10 full bathrooms and 9 half baths, the Asian-inspired"
"Museum Modern Intracoastal Estate sited on two prized waterfront lots (200+/- ft) in Old Boca Raton's ''Estate Section'' originally built (2015) by high-end builder J.H. Norman, innovative architect George Brewer and award winning Marc-Michael's Interior Design.High impact Architectural design encased in glass, stone and organic/earthy wood detailing.Resort-style pool/patio with lush landscape park-like grounds for large gatherings.Shown to pre-qualified buyers only." "New Streamline Modern Intracoastal estate sited on 149 +/- feet of waterfrontage in Boca Raton's ''Estate Section'' by prestigious JH Norman Construction and Brenner Architectural Group AIA.Set behind gates, a motor court entrance greets guests to this architectural modern masterpiece with sophistication and style.Imposing foyer with sculptural signature staircase and wide gallery hallways leads to all major rooms overlooking the waterway.5-bay garage for the connoisseur. Resort-style pool/patio. A short stroll to the posh Boca Raton Resort & Club." 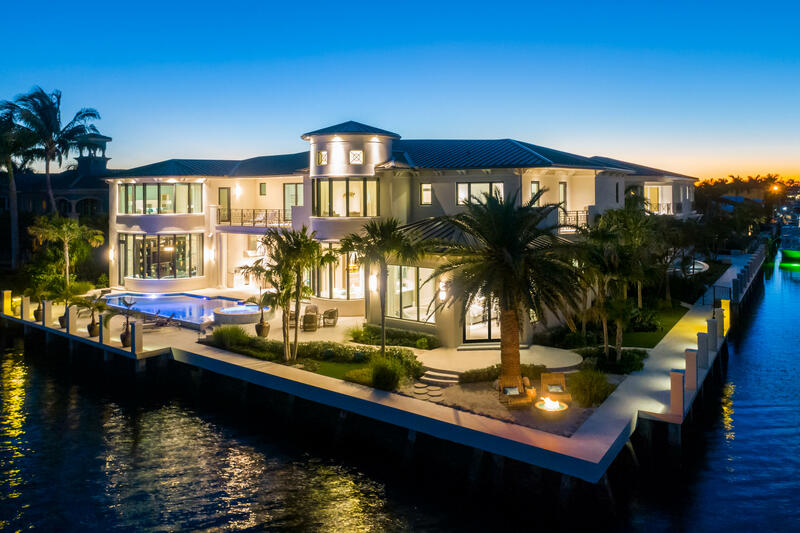 "''New'' Royal Palm Intracoastal Modern Masterpiece by prestigious Bloomfield Construction, Inc. sited on 96 +/- feet of waterfrontage on sought-after Royal Palm Way. 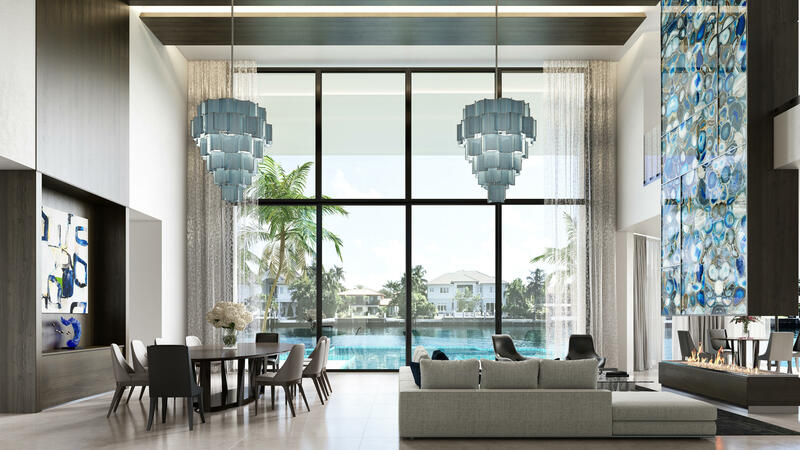 Clean and sleek interiors feature window walls of glass facing the Intracoastal. Luxe master retreat with dual baths, wardrobes and covered balcony. Resort-style pool patio with entertainment lanai. Royal Palm Yacht and Country Club membership is separate and not affiliated with RPIA home ownership." 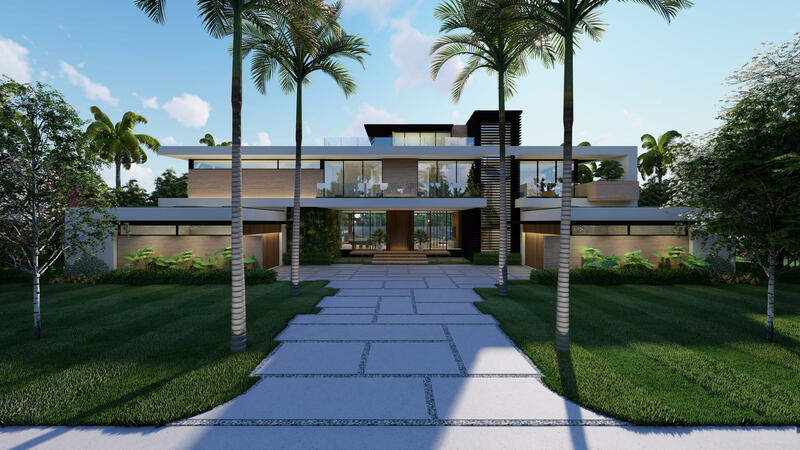 "Set amid one of South Florida's most storied residential communities--prestigious Royal Palm Yacht & Country Club in Boca Raton--Villa Bianca stands as a true original, a custom contemporary masterpiece that beguiles as much with its elegant simplicity as with its Italian-inspired design drama. The sprawling layout--11,401 square feet of overall living space, including nearly 9,000 square feet under air with six bedrooms and eight full bathrooms--only begins to tell the story of a residential adventure brought to life by esteemed builder Sarkela Corporation, renowned architect Randall Stofft and D Editors Milano. Inside, the open, two-story layout impresses with clean-lined sophistication and a host of unique quality finishes and details by some of the most distinguished artisans from Italy." 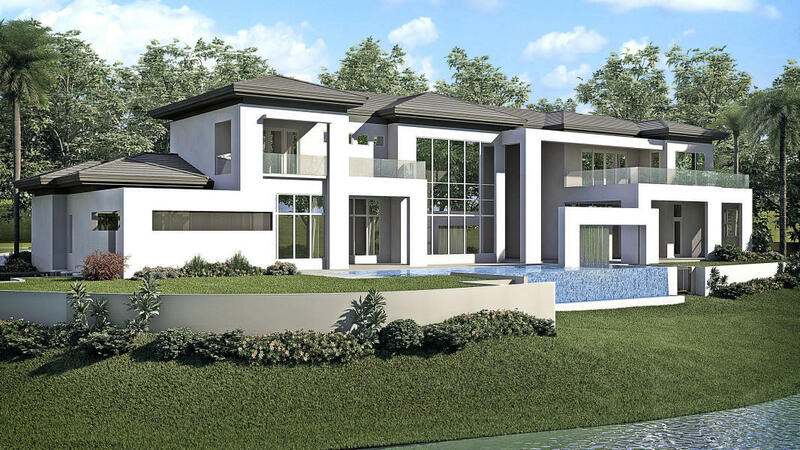 "Brand New Intracoastal Home in Royal Palm Yacht & Country Club to be completed in March 2019. Built by Wietsma & Lippolis Construction, this home has 6 bedrooms, 8 full and 1 half bathrooms, is 9,333 sqft under air and has a 4 car garage plus golf cart. Incredible floorplan overlooking the waterway. Huge second floor master suite with private terrace, sitting room with breakfast bar, large his and her bathrooms, and spacious walk-in closets. First & second floor laundry rooms. Contact Listing Company for a floorplan and more details." 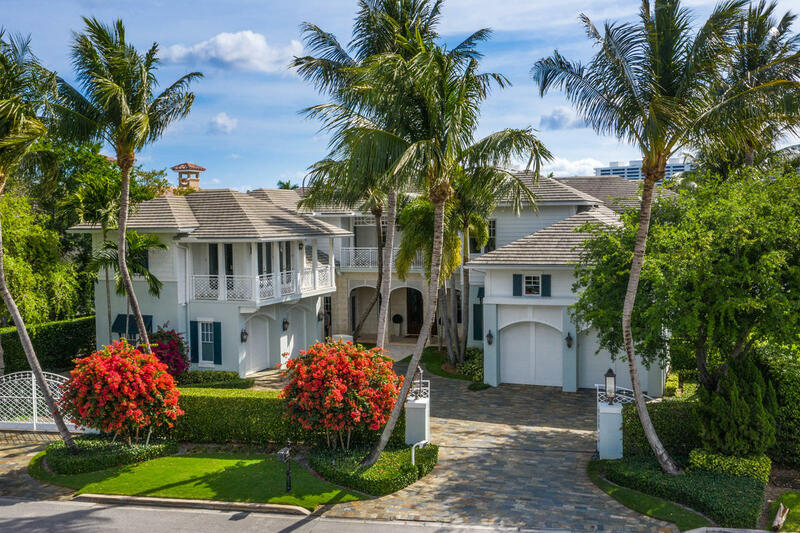 "300 Key Palm Road is a waterfront SRD Signature Estate featuring modern, warm, and eclectic design, with a spacious open floorplan totaling over 9,100 square feet under air. The front entry includes an impressive atrium foyer with glass walls and fire bowls on either side of the grand solid wood doors. Elegant extra-large imported marble floors run seamlessly in all first-floor main living areas, and a dark stained oak wood is found on the stairway treads and second floor. The great room has an incredible Neolith onyx wall and see-through linear gas fireplace and is appointed perfectly for views of the infinity edge pool and waterway. The center spine stainless steel staircase has clear glass railing and wood handrail. The Library/Den's features lux metallic wallpaper and a beautiful over-"
"320 South Maya Palm Drive is a new waterfront SRD Signature Estate featuring modern, warm, and clean-line design, with total custom details and finishes. The front includes a serene and impressive atrium foyer with two-story floor to ceiling glass walls and multi-level fire/water fountains on either side of the grand bronze aluminum pivot entry door. Elegant extra-large 47'' imported white porcelain tile runs seamlessly to the rear exterior pool deck, and a dark stained oak wood is found on the stairway treads and second floor. The great room has an incredible Neolith onyx wall and see-through linear gas fireplace and is appointed perfectly for views of the zero edge pool and waterway. The center spine stainless steel staircase has a smoked glass railing and wood handrail. The Library/Den'"
"The breathtaking Ocean Penthouse at One Thousand Ocean in Boca Raton, a contemporary masterpiece unlike any property in South Florida, elevates the residential experience to the pinnacle of elegance and luxury. The largest condominium in Palm Beach County, at 11,000 square feet overall, this four-bedroom oasis offers dramatic views of the Atlantic Ocean to the east and the Intracoastal Waterway to the west.Beautifully designed and appointed to an exceptional bespoke standard, this one-of-a-kind penthouse embodies the spirit of distinction by incorporating exquisite materials sourced from around the world throughout its living spaces. Soaring ceilings and an open floor plan, along with a chic European palette of natural hues, add to an ambience that's both sophisticated and inviting"
"This estate home is situated on a double lot with 248 feet of direct Intracoastal and canal water frontage. Front entry to the property includes a front motor court and port cochere. The interior features a grand foyer entry, formal living/dining rooms with tray ceilings, fireplace, private office with custom built-ins, large family room with fireplace, gourmet kitchen with wood cabinetry and granite countertops, first floor private master suite with his/her closets, exercise room. Exterior features a beautifully designed tropical pool, separate guest house with a full service kitchen, 2 bedrooms and spacious family room overlooking the pool/patio area and water views. There is also a separate boat house with a bath for a great fisherman's use to store all the fishing and boating supplies." "Manicured grounds lit by copper landscape lighting, this pristine property is approached by a circular paver motor court. Tropical specimen plantings complement the Seaside Coastal architecture. Guests proceed through a covered entry, to a baronial double door entry. Expansive covered loggias follow the rear line of the residence to create shaded entertainment areas for alfresco dining by the fireplace, served by a summer kitchen with Wolf BBQ and Sub-Zero beverage center, or lounging by a resort-style heated saltwater pool and spa with dual fire bowls and a full cabana. Royal Palm Yacht and Country Club membership is separate and not affiliated with RPIA homeownership. Buyer pays title insurance, Florida documentary stamps, and all other closing costs." 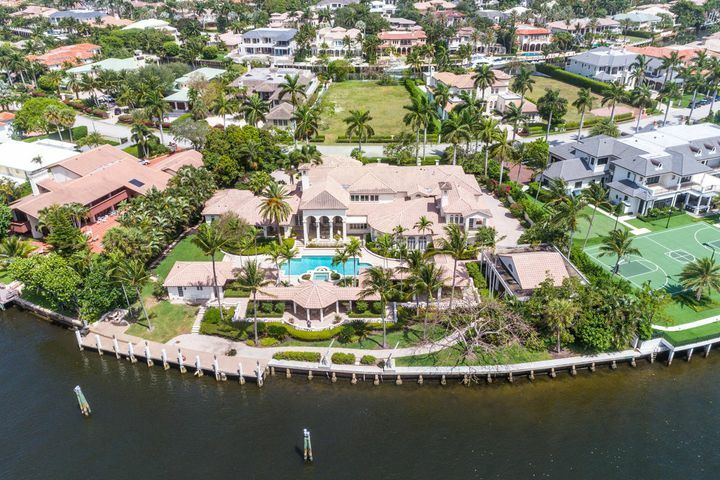 "1964 Royal Palm Way is appointed on a trophy Intracoastal lot offering 100' of water frontage inside the exclusive Royal Palm Yacht & Country Club. 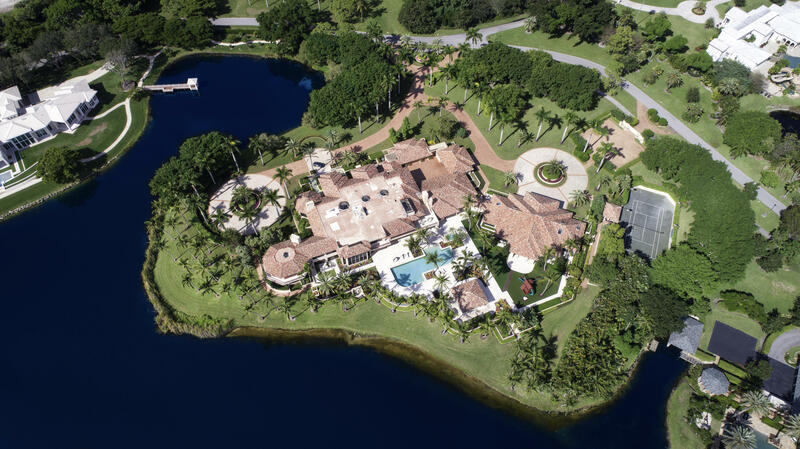 Located across the street from a Jack Nicklaus designed signature golf course and surrounded by a spectacular panorama of the waterway, this estate welcomes you into 10,000+ sq. ft. of elegant living.Upon entering the grand two-story foyer, a wrapping marble stairway and see-through pool views coax you to explore. Beginning in the foyer and flowing throughout are beautiful marble and Brazilian hardwood floors, crafted trims & moldings, and custom built-ins. The formal living room is a perfect entertaining space, bathed in light through the wall of windows accompanied by a marble surround fireplace with a white wood mantle. 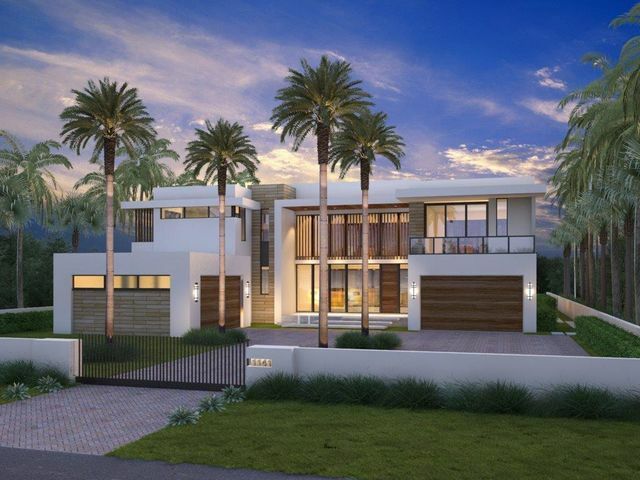 Proceed through the"
"A 2018 waterfront SRD Signature Estate in Royal Palm Yacht & Country Club, featuring a modern-contemporary design with total custom details, 6 bedrooms, 6.2 bathrooms, 4.5 garage spaces, 8,313 living sq. ft. and 11,028 total sq. ft. The first-floor open floor plan includes a grand foyer entry, volume ceilings with oversized custom moldings, honed marble and oak hardwood flooring, formal dining room with water views, formal living room with a linear gas fireplace, bar, walk-in temperature-controlled wine room, private library/office with wood paneled walls and custom built-ins, club room, gourmet kitchen, first floor master, an additional 2nd floor master, Crestron smart home system, hurricane resistant construction, impact glass and 70 KW gas generator. Buyer to pay doc & title." 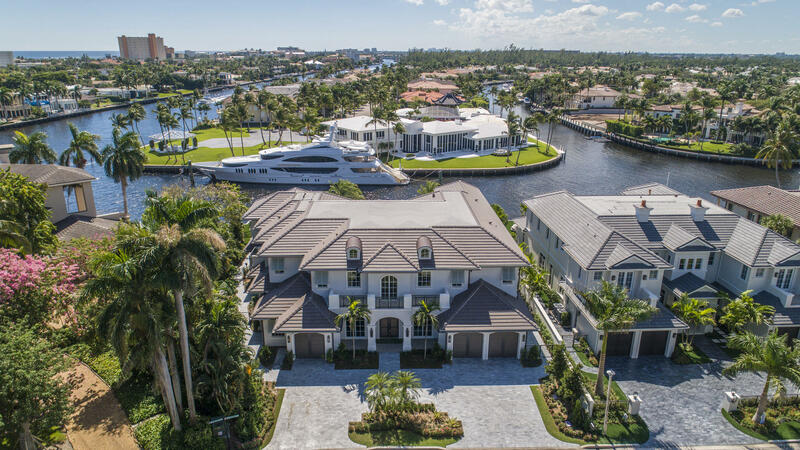 "Brand new waterfront estate on 158' of waterfront, on the Butterfly Palm Waterway in Boca Raton's most sought after community, Royal Palm Yacht & Country Club. This magnificent estate is built by Wietsma Lippolis Construction, and ready for occupancy. Grand open floorplan with 6 bedrooms, 8 full and 2 half bathrooms, 8,439 sqft under air and a 3 car garage plus golf cart. First floor has a foyer entrance, living room, dining area, gourmet kitchen, family room, mud room, walk-in pantry, laundry room (1st & 2nd floors), club room with pub bar and wine cellar, library, and guest suite or gym. Second floor includes a living room, laundry room, 4 bedrooms with ensuite baths, and a large master suite with his and her baths and closets. Outside entertaining areas include a gas fire pit,"
"New Tropical Modern Intracoastal estate on prestigious Spanish River Road by JH Norman Construction and designed by famed Brenner Architecture Group.An expansive motor court leads to this Tour de Force modern architectural statement encased in glass showcasing fabulous views of the waterway from all major rooms.Resort-like entertaining is enjoyed at the sun splashed pool with spa, grand lanai featuring a professional bar with grilling station. Shown by Appointment Only." "Gated and walled Palm Beach-inspired Georgian Intracoastal Estate sited on 2 lots with 200 +/- feet of waterfrontage overlooking an expansive view of the ICWW.Lavish entertaining is set in the center Party Pavilion (Great Room 37 x 26) with professional bar, soaring fireplace and large window wall of sliders that open to the pool/patio.Resort-style pool/patio with spa,fountain, boat lift and expansive landscaped grounds for entertaining. Shown By Appointment Only." "THE FIRST ESTATE IS UNDER CONSTRUCTION WITH AN ANTICIPATED MOVE IN DATE OF DECEMBER 2019!! LOCATED IN THE MOST DESIRABLE NEW EXCLUSIVE DOWNTOWN WATERFRONT COMMUNITY OF 5TH AVENUE ENCLAVE, SITUATED DIRECTLY ON THE INTRACOASTAL WATERWAY, THIS GATED CUSTOM BUILT ESTATE HOME SEAMLESSLY BLENDS THE OUTDOORS TO THE INDOORS AND IS A REFLECTION OF THE MODERN AESTHETIC OF THE SOPHISTICATED NEW BOCA RATON. 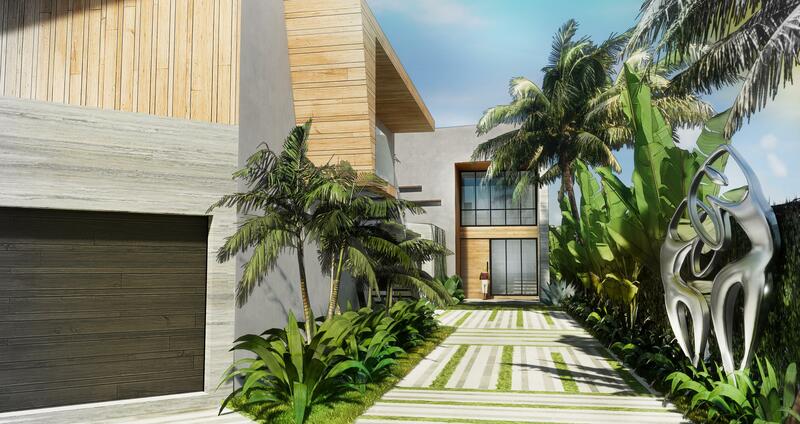 THIS RESIDENCE WILL INCLUDE OVER ELEVEN THOUSAND SQFT OF SPACE, AIR CONDITIONED GARAGE FOR SIX CARS, BUILT WITH THE MOST MODERN WORLD CLASS MATERIALS, PRIVATE YACHT DOCKAGE MINUTES FROM THE OCEAN, PLUS ALL LOCATED WITHIN WALKING DISTANCE TO THE BEACH AND WONDERFUL DOWNTOWN/MIZNER PARK. PLEASE VISIT WWW.BRENNANESTATEHOMES.COM FOR ALL INFORMATION AND FLOOR PLANS." "Stunning, gated, located on the prestigious NE 5th Avenue. Enjoy magnificent long water views from every room and sheltered dockage, big enough for two yachts in a no wake zone. The residence is situated on a large, half acre lot and was custom built by RJ Miele. Every imaginable amenity awaits you including: concrete construction, chefs kitchen, movie theater, office, guest house, billiards room, covered loggia and much more." 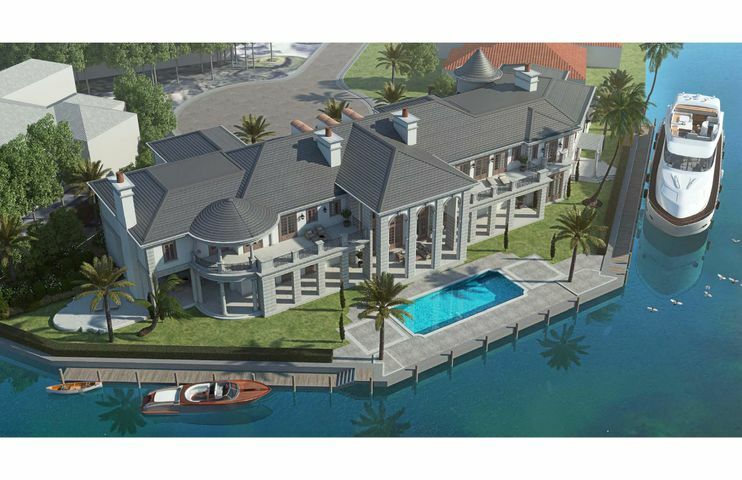 "Exquisite Smart Home NEW CONSTRUCTION, DIRECT INTRACOASTAL POINT LOT estate with east exposure located in prestigious Boca Raton with over 202 ft of waterfront, comprising of 126Ft of Direct Intracoastal and 76Ft of side canal. This elegant custom designed contemporary masterpiece with coastal elements from the latest Mary Widmer Luxury Collection is truly unique and exceptional in design and craftsmanship. This alluring and sophisticated FURNISHED residence was one of 12 homes chosen globally as a finalist for HGTV's Ultimate House Hunt 2018/ Waterfront Category.As you enter the gated serene oasis you are greeted with walls of glass, showcasing the shimmering panoramic waterfront vistas. 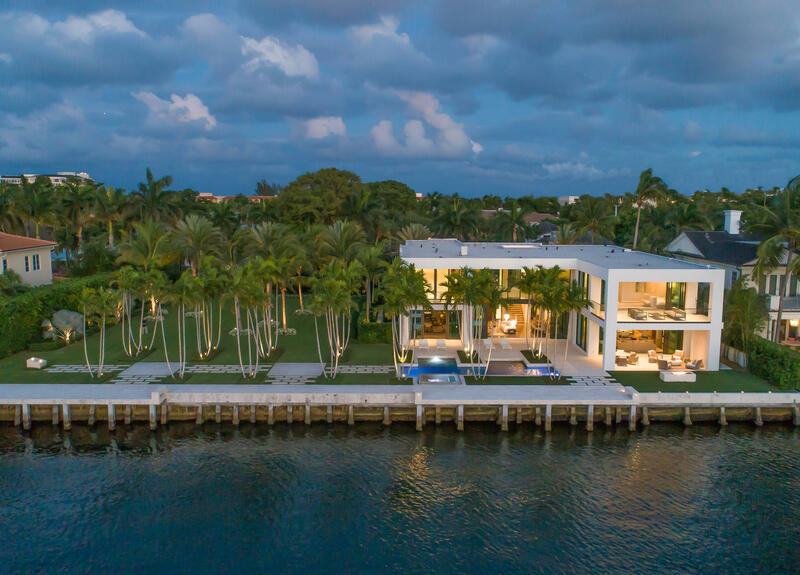 This stunning estate features 6BR/8BA, custom cabinetry throughout, a media room, grand salon,"
"New Tour de Force Modern architectural deepwater estate in The Sanctuary by Steiger Build and cutting-edge Miami-based Choeff, Levy and Fischman Architectural + Designs. Glass, stone and exotic wood blend to create on the most amazing waterfront estates in Boca Raton with 3-levels of luxury and style. Resort-like infinity pool with walk over water feature and yacht dock." "BRAND NEW NEVER LIVED IN- 95 FT. Waterfront Transitional Estate built by SRD Build. Corp, located on highly sought after wide Fishtail Palm Canal.Stunning Estate with imported Hard Wood floors to a beautiful view of the outdoor oasis with a 20' X 42' Infinity Pool & a new Imported 24 X 24 Italian Marble Boat Dock. Home Features 6 Bedrooms & 8.2 Bathrooms 9,022 Sq Ft- a 4.5 Car Garage with Golf Cart. Large Open Floor Plan with a Dream Chefs Gourmet Kitchen, Breakfast Area,Formal Dining Area,Club room with Bar,Library/Office, Full Temperature controlled Wine room, Crestron System Smart House,Master Suite upstairs has a fireplace, Large Loggia over looking the outdoor oasis,Upstairs Children's wing with VIP Suite, Storage galore. Best price per Sq Ft In Royal Palm Yacht Country Club"
"FABULOUS SE INTRACOASTAL POINT LOT ESTATE! 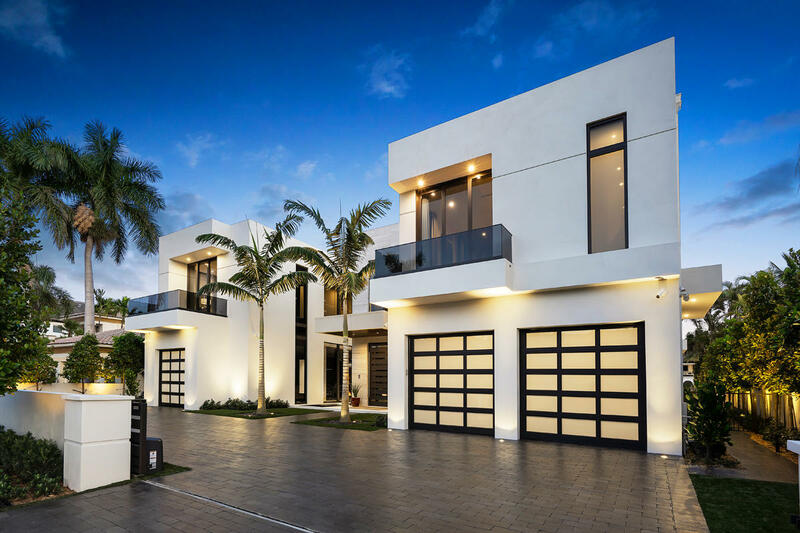 CUSTOM CONTEMPORARY MASTERPIECE FEATURING 6 BEDROOMS, 8.5 BATHS TO BE CONSTRUCTED BY ALBANESE AND SONS BUILDERS, IMPECCABLY DESIGNED BY BE DESIGN ARCHITECTS AND INTERIORS BY STEVEN ZELMAN. 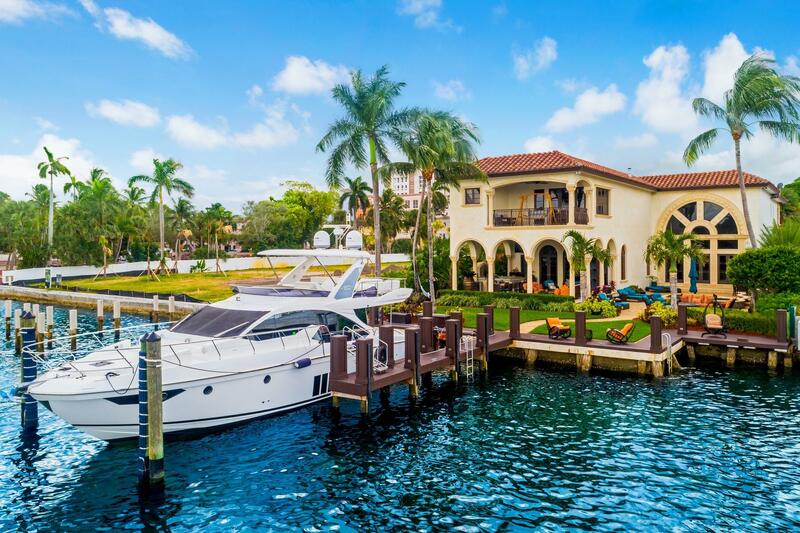 236' OF WATERFRONT WITH 120' OF DIRECT INTRACOASTAL WATERWAY. THIS SPRAWLING CUSTOM DESIGNED LAYOUT BOASTS 8,370SF OF PURE LUXURY. 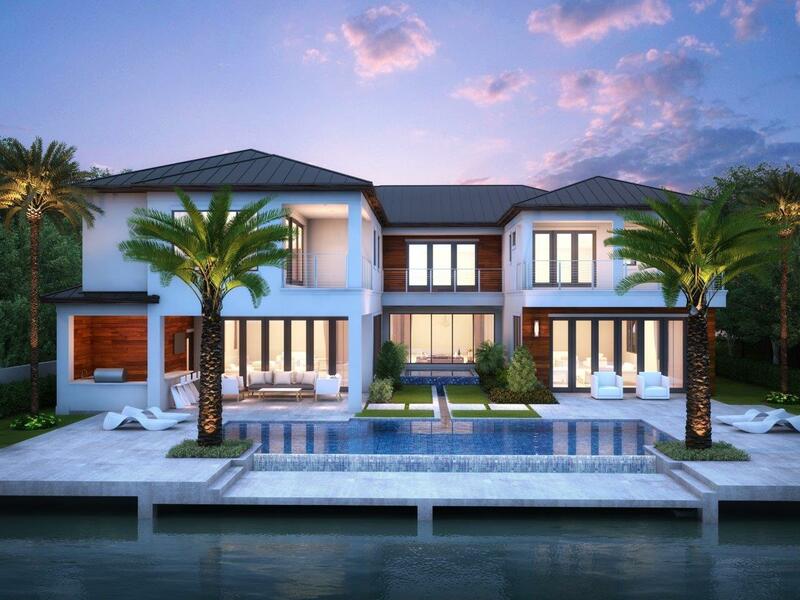 THIS HOME IS A BOATER'S DREAM AND WILL INCLUDE A DOCK ON THE SOUTH CANAL AS WELL AS A THREE-CAR GARAGE WITH LIFT TO ACCOMMODATE SIX VEHICLES.THE FOYER OPENS TO A STUNNING TWO-STORY LIVING ROOM AND DINING AREA THAT OVERLOOK THE EXPANSIVE COVERED VERANDAS, RESORT-STYLE INFINITY EDGE POOL"